FDC series 3635 is 3M 3635-210 and 3635-222 3M™ Dual Color Film - This unique film provides maximum color clarity and backlit brightness both day and night: the dual-color perforation pattern and the light management adhesive. Use dual-color film to create the special effect of a color-image by day (non lit) and a different color by night (back lit). 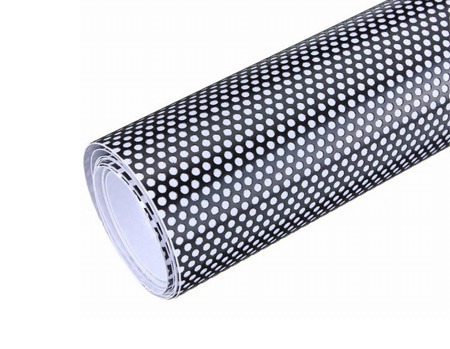 Background color-image glows through the perforations in the dual color film. To order punched material, use part number 3685.